What do a very small mouse with large ears and a china rabbit have in common? Despereaux is the unlikely mouse hero of The Tale of Despereaux and Edward Tulane is the china rabbit featured in The Miraculous Journey of Edward Tulane. 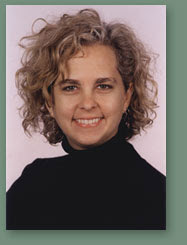 They are both creations of the children's fiction author, Kate DiCamillo. You can read about Kate at her website, http://www.katedicamillo.com/. Kate has tried her hand at three different types of children's literature. She has writt en early chapter books featuring a pig named Mercy Watson. She has also written stories for upper elementary and middle school students, including Because of Winn-Dixie. Because of Winn-Dixie was Kate's first novel, and it was a Newbery Honor Book. It has also been made into a movie. Next was The Tiger Rising, which was a National Book Award finalist. The Tale of Desperaux followed, and it won the Newbery Medal. It, too, is being made into a movie. Her latest novel is The Miraculous Journey of Edward Tulane, featuring the unlikely main character Edward Tulane, who is a china rabbit. The story in some ways reminded me of Flat Stanley. Kate's final (for now) book is a picture book called Great Joy. While Kate's writing can be light-hearted, as in the Mercy Watson series, her books often include a touch of cruelty and darkness. She says she wants children to know that the world is beautiful, but that it can also be hard. Children see cruelty every day when they get on the school bus, so they can't always be protected. She writes about powerful emotions that kids can connect with. Why does Kate write children's literature? Because she has failed at every other career option. She has always been a reader, and she considered herself to be a writer, but didn't commit to doing the work of writing until 11 years ago, when she was 29. She decided to write children's fiction when she worked in a book warehouse picking children's books to fill orders. She began reading the books as she was picking them, and fell in love with them. Being a dedicated reader as a child, she was also influenced by such classics as Winnie-the-Pooh, Alice in Wonderland, and Pinocchio. Where does she get her ideas? She says that the ideas are all around. She eavesdrops and pays attention to the things happening around her. She likes to write about things she has seen, not necessarily things she knows. She makes herself write two pages a day, five days a week. Eventually the stories come to her, sometimes even in dreams. I think Kate is a very unique author because she writes in different styles geared towards different audiences. Regardless of who reads her works, they all seem to be enthusiastic fans of these unique characters. But just be careful if you are out on the street and a blond, curly-haired woman seems to be paying an unusual amount of attention to you. You just might show up in her next novel!